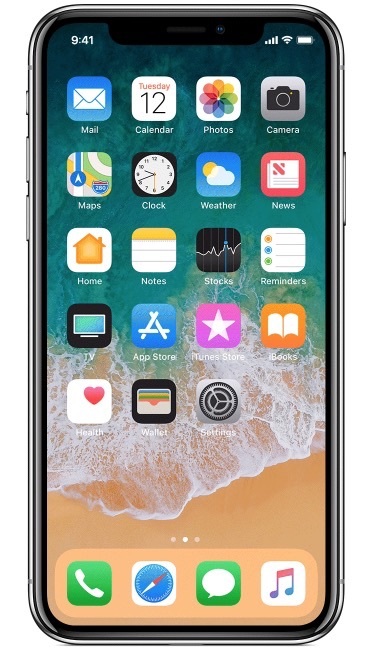 The iPhone X includes a feature called Tap to Wake, which, much as it sounds, allows the locked iPhone screen to wake up with a tap anywhere on the screen. This makes a lot of sense because the device does not have a Home button to press and wake the screen, so a tap anywhere on the display sort of replicates that Home press function, but Tap to Wake may also lead to a lot of unnecessary screen waking, and theoretically any erroneous screen waking may lead to a detriment to battery life. Many users like Tap to Wake and find it to be convenient, but if you don’t like the feature or you’re concerned about waking the screen repeatedly either on accident or not intentionally, then you may want to disable the Raise to Wake feature on iPhone X.
It’s worth pointing out that iPhone X defaults to enabling both Tap To Wake and Raise To Wake, so if you disable one, you may want to keep the other enabled, or perhaps disable both if you don’t want to use either alternate wake function. Now the iPhone X will no longer automatically wake the screen just by tapping it, instead you will need to either rely on Raise To Wake (unless you disabled Raise to Wake on iPhone as well), or pressing on the side power button to wake the screen. It’s not immediately clear why this setting is located in Accessibility rather than the Display settings on the iPhone along with Raise To Wake and other screen adjustments, but for the moment that is where Tap to Wake settings are found in iOS. Note if you disable both Tap to Wake and Raise to Wake, then unlocking the iPhone X will likely feel or appear a bit slower, because you have to manually wake the screen and then either use Face ID to unlock, or use the slide to unlock gesture on iPhone instead of Face ID. Basically by disabling these features you require an additional step of manually waking the display before being able to access iPhone X. This returns the iPhone X to the default state where Tap to Wake is enabled. If you use Face ID to unlock iPhone, then if you tap on the screen while looking at the iPhone and swiping up, it will unlock the device and send you to the home screen. This happens quickly and seamlessly, similar to how unlocking a iOS device with Touch ID works. The Tap to Wake is a handy feature overall and is obviously valuable on the iPhone models that are missing a Home button, so expect this feature to be adopted on future iPhone and iPad devices as Face ID replaces Touch ID and the Home button over time. For this reason, amongst many others, you may just want to get used to tapping the screen to wake the display of your iOS devices.